Since its introduction in 2009, this model has quickly become one of the most popular ZAPI products throughout the world. OEMs are able to utilize its high output, small package size, and expanded I/O in many different applications. The power density, dimension, shock-absorption, and manufacturibility of the CombiAC-0/ACE0 are all state-of-the-art. This model is designed to drive one synchronous or asynchronous motor rated up to 2.5Kw plus an additional DC brushed motor. The CombiBLE-0/BLE-0 is configured to run synchronous motor technologies such as PMAC, BLDC, and IPMAC. 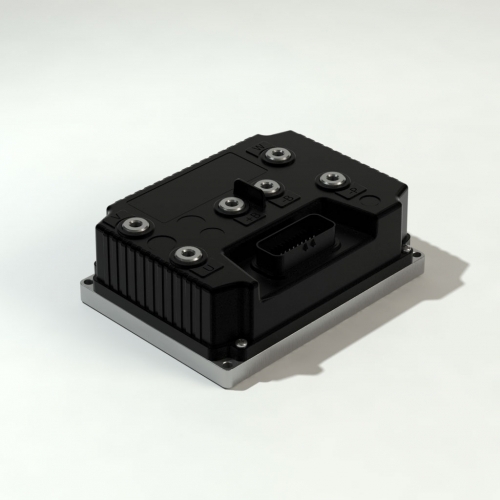 This model is compatible with Hall Effect or Sin/Cos encoder signals to determine motor RPM feedback. ZAPI patented this sensorless technology in 1992, and it has been implemented on thousands of OEM applications currently operating in the workplace. Since its first introduction, this ZAPI algorithm has been continually fine-tuned to provide the best performance, especially when compared to other sensorless technologies in the marketplace.